Practice makes perfect especially when it comes to perfecting your cop voice. 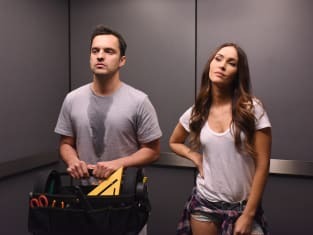 On New Girl Season 5 Episode 9, Nick continued to be outlandishly stubborn when it came to bringing an air conditioner into the loft. I'm still completely perplexed about why Nick was so hurt over Reagan bringing in an air conditioner they needed so badly. I understood Nick feeling hurt because Reagan didn't appreciate his wild invention to produce cool air into the loft, but it still made absolutely no sense. It all just seemed like a stale ploy to get Nick to finally admit his feelings to Reagan. Even though everyone and their mother knew Nick had feelings for her. Nick's feelings for Reagan haven't exactly been a secret since the first day he met her. I actually figured Nick's crush on Reagan had already been discussed and we were finally going to move on to other things. I admit the scene of him telling her he had a crush was absolutely adorable, but how can we get behind a couple when we know isn't going to last? This is where my biggest problem comes in to play. We all know Reagan isn't going to be a permanent fixture in the loft, which makes it difficult to get behind Nick and Reagan as a couple. Nick really should have taken Winston and Schmidt's advice and tried to get over his crush on Reagan because I only see heartbreak in his future. Speaking of Winston, I couldn't help but laugh at his cop voice. Was anyone really surprised to learn Winston practiced it in the bathroom? I really liked how they didn't dumb down Winston too much and actually had him being the boss of the loft. I was thrilled when he told Schmidt to be honest with Cece about her audition and get her to open up. I can't say I was particularly surprised to learn Cece was nervous about failing. She has succeeded at modeling and even bar tending, so I could see why she was nervous. Of course she probably should have sobered up before heading into the audition. Who else wants to see more video of Cece's intoxicated audition? Between Cece and Winston there were a lot of laughs. Now it's your turn! Can you get behind Nick and Reagan as a couple? Are you ready for Jess to make her way back to the loft? Do you want to hear more of Winston's cop voice? 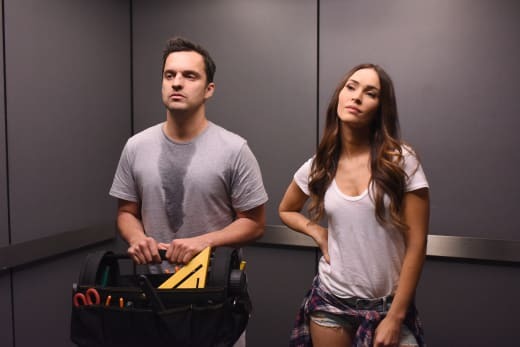 Go watch New Girl online now and relive Winston's practice sessions. Just make sure to come back to let us know what you think.